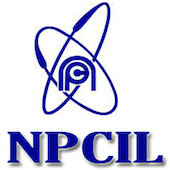 Online Application Details for Nuclear Power Corporation of India Limited NPCIL Recruitment of 12 Trade Apprentice is given below. Application form and duly attested documents are to be sent to Manager (HR), NTC, Nuclear Training Centre, Nuclear Power Corporation of India Limited, Madras Atomic Power Station, Kalpakkam-603 102. Kancheepuram District, Tamilnadu. In envelope super scribed with 'Application for the Post of Post Name'.